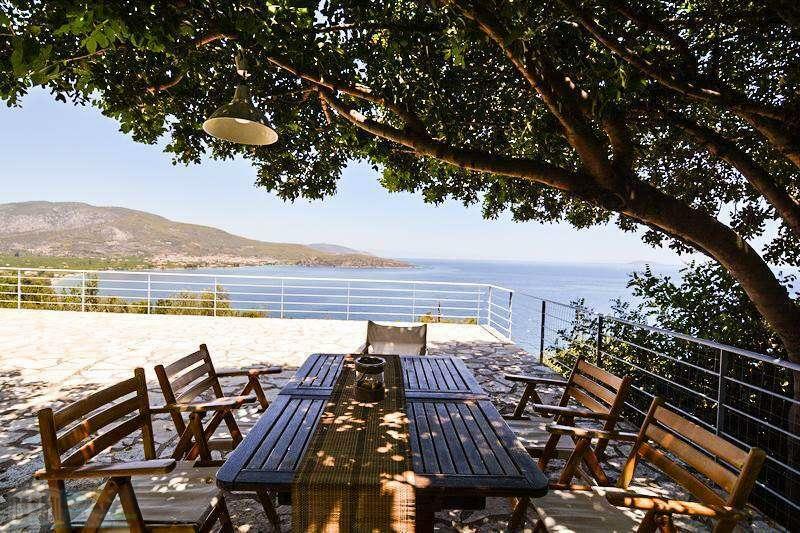 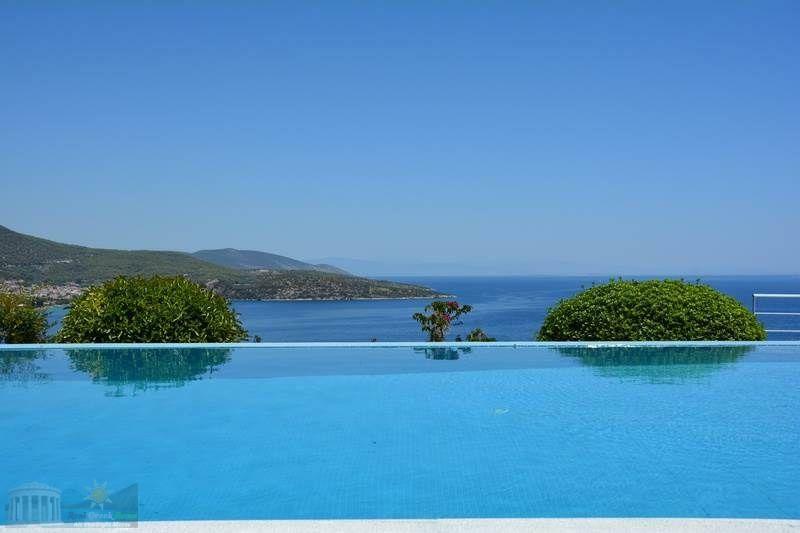 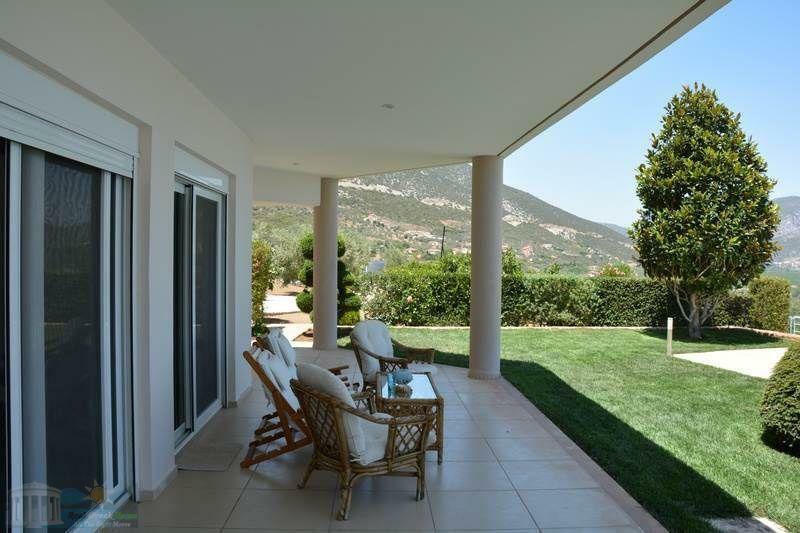 2 km from the ancient Epidaurus and 250 meters from the sea (vertical line) is located a luxury villa two levels, total area 215 sq.m in its own land of 1.850 sq.m. 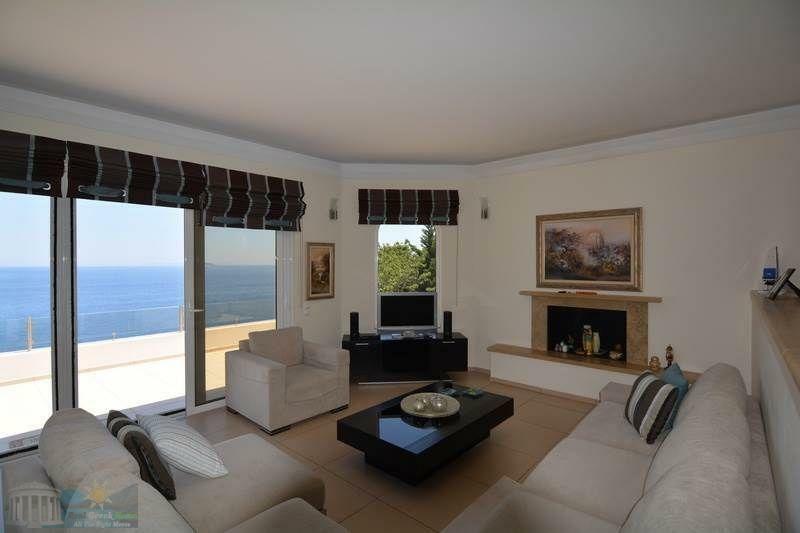 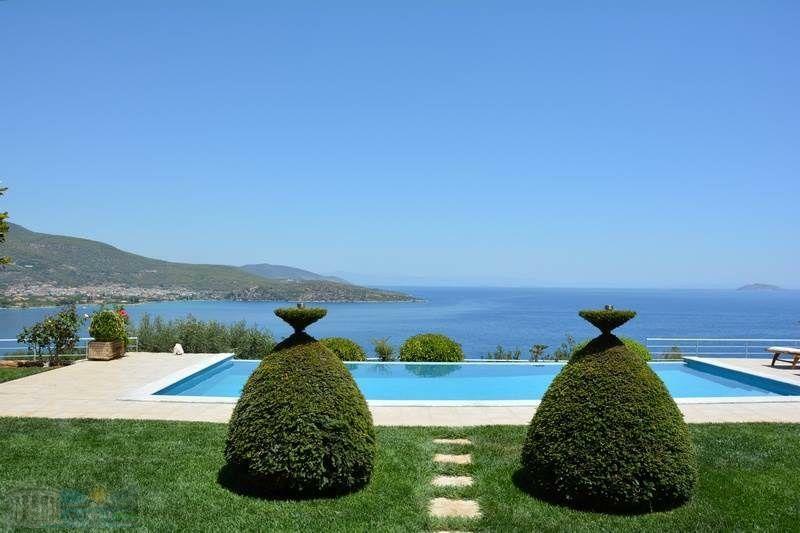 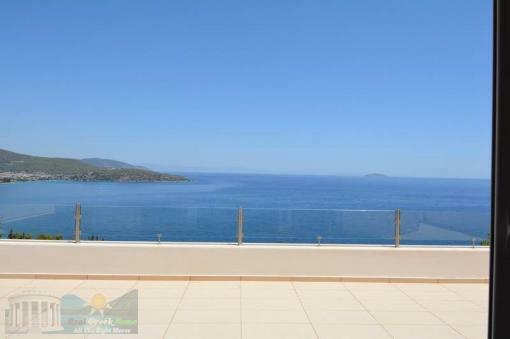 It is located on a gentle mountain slope offering unobstructed panoramic views of the sea, the village of ? 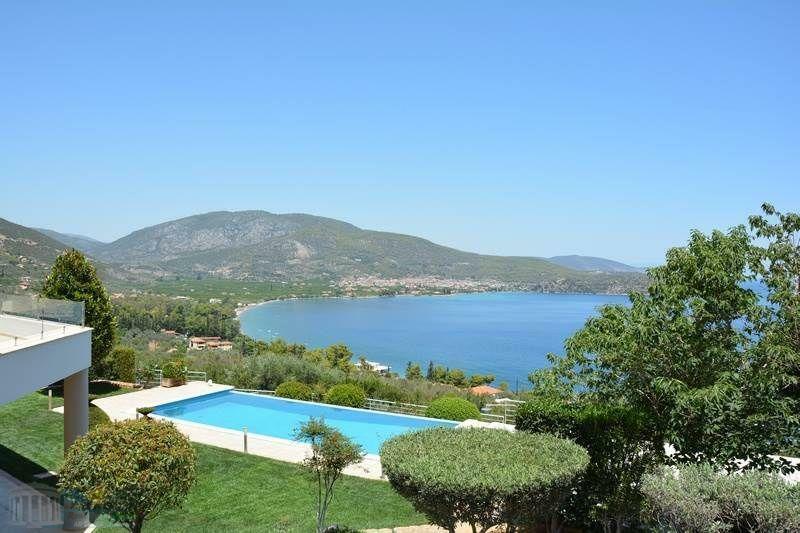 ?Epidavros town and the Saronic islands. 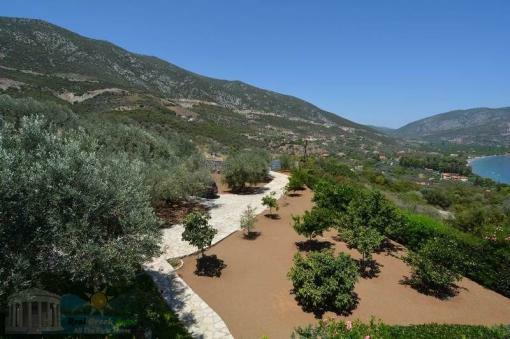 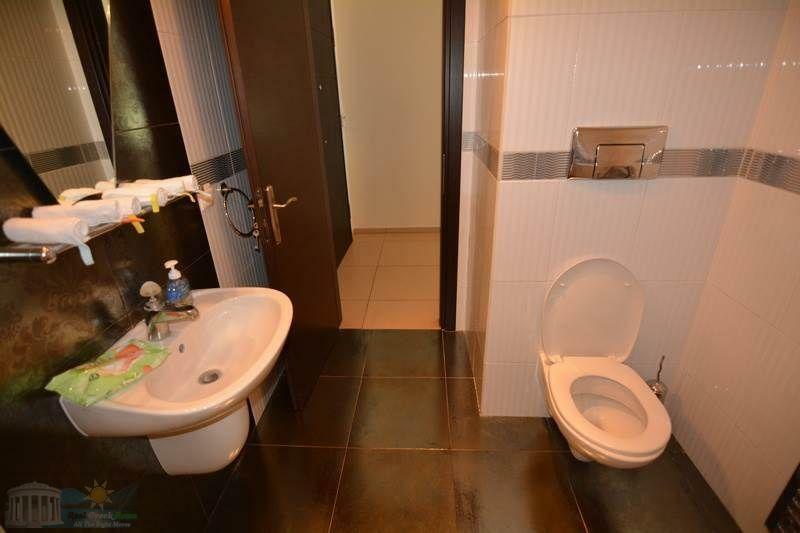 It is a quiet and safe area which consists of lush greenery and newly built houses. 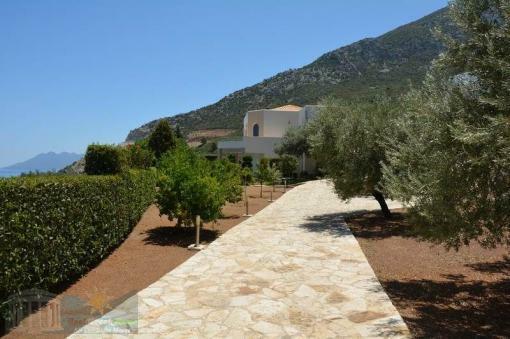 The house extends to a fully landscaped plot with lush planting, with stone paved sections, stone fences around the plot. 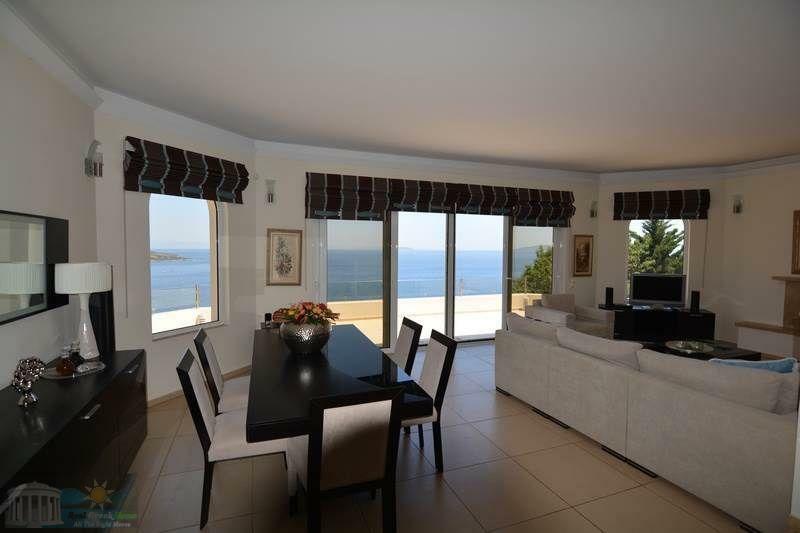 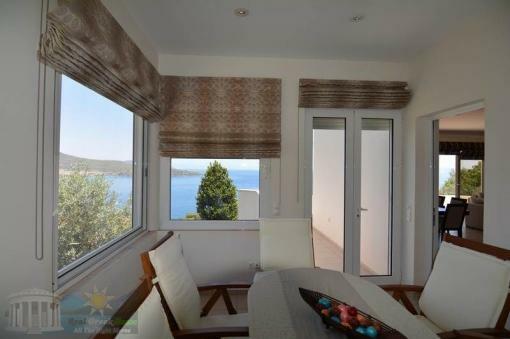 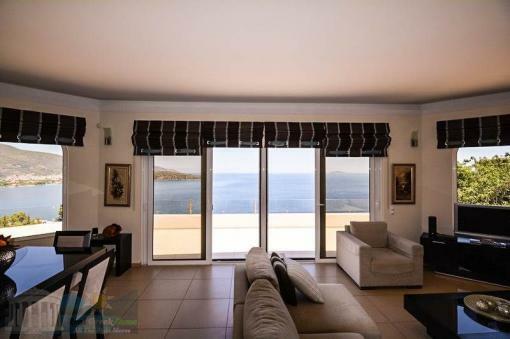 The house designed in modern architecture and excellent quality on the first floor consists of an open plan living kitchen, a room, a bathroom and spacious terraces with magnificent sea views. 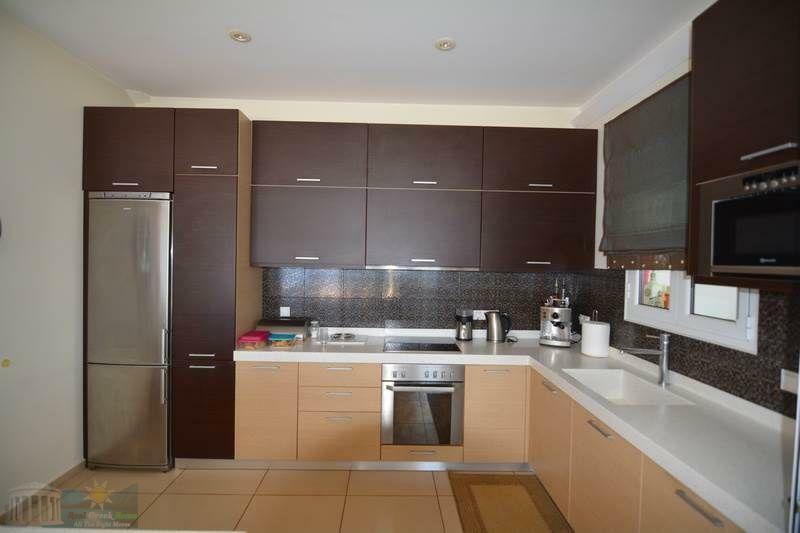 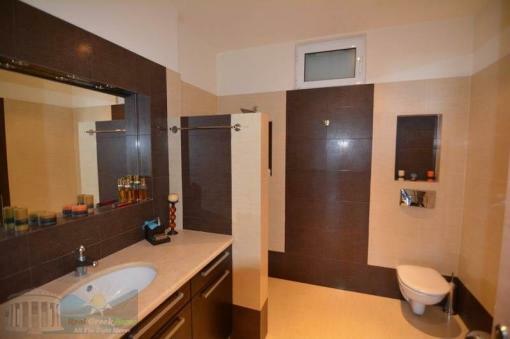 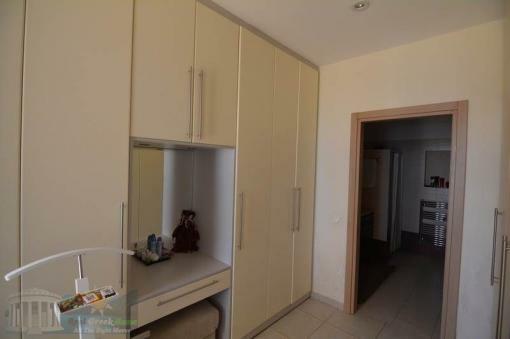 The ground floor comprises three bedrooms, two bathrooms, a small kitchen and storage. In front of the house extends outdoor waterfall pool and landscaped terrace with bbq. 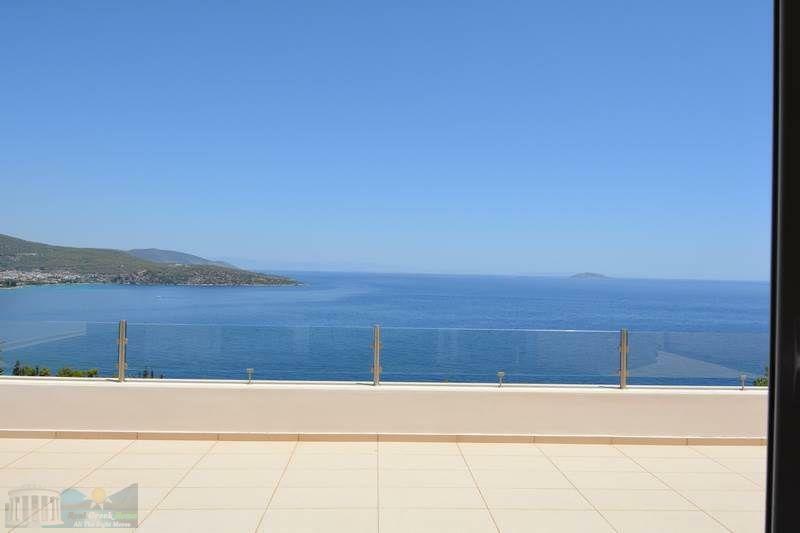 It is 2 km from the beach and 37 miles from Nafplion and 125 miles from Athens.